These pages	are written to aid a true level 1 newbie who has just entered ZombieMUD for the first time in learning the initial steps to a successful Zombie experience. Before choosing Necromancer as your guild, you must first select a race. 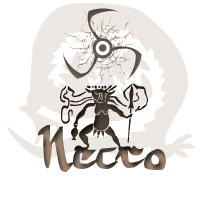 Suitable races for a newbie Necro include, but are not limited to: Sprite, Elf, Thrikhren, Satyr (can not see in the dark), Duck (can not see in the dark). When you have chosen a race, type 'continue' to proceed. Now you must choose your guild. Type 'choose necromancer'. When you log in, you will begin at the Church of All Gods inside ZombieCity. The first thing you should do is to visit Buju. He spends his days waiting patiently one east of the Church, and has much to offer you during your travels. Type 'east' or just 'e' and go visit him now, and he will give you a gift. Good commands to try in his presence are: 'look at stone', 'say help', 'say transport', 'say portal'. Also type 'map' to see the ZombieCity map and your current location. Next you much continue to the Necromancer guild and advance your guild levels. Go back to Buju (one north, one west) and have him transport you to the guild by typing 'transport guild'. Once you are there, type '7 advance' and you are now a level 8 necromancer. Now that you have a few levels, it's time to advance your knowledge in skills and spells. If you've followed the information so far, you should be standing in the Necromancer Guild, if not then go there now. To see what abilities are available to you, try the following commands: 'info 5', 'list spells', 'list skills'. Now lets get a spell. Of course, everyone must start out small. The more experience you gain, the better your spells will become. As you can see, you have begun the game with 30% raise dead. This spell will help you to summon a necromancer's servant, but first you'll need the key servant ingredient of one fresh corpse. To get that corpse, we're going to get the offensive spell 'magic missile'. Spells and skill are trained at 5% increments. First read 'help spell magic missile', then study the spell to 50% by typing '10 study magic missile'. Also train the skill 'essence eye' to 5% by typing 'train essence eye'. Hopefully all goes well and your poor frog is now living in mud heaven, but you're not quite finished with him yet. In order to enslave this minion into your horde, you need to have full spell points. The servant we are going to create will be a monk. It is the most feasible option for a newbie. To raise your servant, type 'cast raise dead at corpse make monk try very slow'. And then you wait... and wait... it's a long spell, so sit back and cross your fingers. Once you manage this, you won't have to do it again untill your next login, and by then you'll be a more adept necro, and things will go easier. Now your servant will do the battling for you. Just type 'scom kill frog' (or any other poor beast in that area) and the battle will begin. Servant's kill well, and far faster than your average newbie could, but they also leech a portion of your exp away. This exp is not wasted however, but goes to your servant which also gains levels, power and new skills and spells just like a normal character ! You can also have your servant carry items for you, and make it wear equipment (altough monks prefer to use only the monk knuckles a weapons). Don't forget to give the other corpses you leave around a proper burial. To do this, type: 'dg' Type 'score' or 'exp' to see how much you have gained. Scamper around in this area killing critters untill you have gathered a nice sum of experience and cash, then head back to the Necromancer guild to up your spell percents. - Summon Servant: If you happen to misplace the poor minion, this will summon him back to your side to fight again. - Recall Undead: If you quit the game, or your servant happens to forget you for other reasons ('Your servant does not recall you!') then this spell will refresh its memory. - Cure Undead: Will heal an undead minion, should it become hurt.